The traditional ecological knowledge (TEK) of Lacandon Maya is expressed in their swidden (i.e., slash-and-burn), sequential agroforestry system. Successional pathways are initiated through controlled burns of secondary forest and by cultivating milpa: a swidden polyculture agroecosystem dominated by maize (corn; Zea mays). While past research demonstrated that traditional Maya milpas yield large quantities of corn that can meet caloric requirements for Lacandon communities, no studies have comprehensively quantified the yields of other crops cultivated in Lacandon milpas or assessed whether they can meet other nutritional requirements for local people. 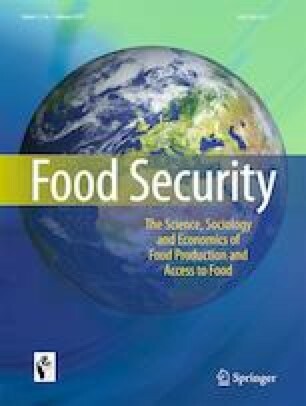 Using a case study approach, this research measured the agricultural yields and nutritional content of all foods (including crops and wild game) harvested from a traditional Lacandon milpa. Following traditional Lacandon agroforestry management practices, we performed a controlled burn of secondary forest and planted crops and trees in an experimental milpa in Lacanja Chansayab, Chiapas, Mexico. Over 3 years, we harvested, weighed, and calculated the nutritional content of all foodstuffs obtained from the milpa. Assuming an average family size of 5.3 individuals, yields from an average-sized milpa can meet most United States Food and Drug Administration daily value nutritional requirements per capita, including calories, fat, carbohydrates, fiber, sugar, protein, vitamins A and C, calcium, iron, zinc, and niacin. Diets derived exclusively from milpa may be deficient in saturated fat, cholesterol, sodium, calcium, and iodine, and harvests vary intra- and inter-annually. Lacandon farmers can supplement these harvests by foraging in their managed forest. These results underscore the potential of Lacandon agroforestry management to provide rural smallholder farmers in the Lacandon rainforest with food sovereignty while maintaining nearby forest cover to conserve biodiversity and other ecosystem services. The online version of this article ( https://doi.org/10.1007/s12571-019-00901-6) contains supplementary material, which is available to authorized users. We thank the members of the Lacandon Maya community of Lacanja Chansayab, Chiapas, Mexico for their openness and patience. National Science Foundation Award 1231334 awarded to PI Stewart Diemont and National Geographic Society Award 71235 awarded to PI Tomasz Falkowski partially funded this work. The authors declared that they have no financial conflict of interest. One of the authors, Adolfo Chankin, is a Lacandon Maya farmer. Consejo Nacional de Evaluacion de la Politica de Desarrollo Social. (2012). Anexo estadístico de pobreza en México. http://www.coneval.org.mx/Medicion/MP/Paginas/Anexo-estadístico-pobreza-2012.aspx. Accessed 1 Dec 2017. Plants for a Future. (2012). Plants for a future plant database. www.pfaf.org/user/plantsearch.aspx. Accessed 11 Nov 2016. U.S. Department of Health and Human Services. (2013). A food labeling guide. MD: College Park www.fda.gov/FoodLabelingGuide. Accessed 28 Nov 2017. United States Department of Agriculture. (2016). USDA food composition databases. https://ndb.nal.usda.gov/ndb/. Accessed 11 Nov 2016. United States Food & Drug Administration (n.d.). Guidance for industry: A food labeling guide (14. Appendix F: Calculate the Percent Daily Value for the Appropriate Nutrients). http://www.ecfr.gov/cgi-bin/text-idx?SID=10896471be7fb6ff7aae0acf00081a82&mc=true&node=pt21.2.101&rgn=div5#se21.2.101_19. Accessed 28 Nov 2017.